A masterpiece of early modernism, The good soldier tells the story of the unfolding relationships between two couples at the beginning of the 20th century in the words of an archetypal 'unreliable narrator'. Its portrayal of the destruction of a civilized elite is a work of unforgettable power and literary skill. The CLASSICS I FORGOT TO READ BOOK CLUB will discuss Parade's End by Ford Madox Ford. 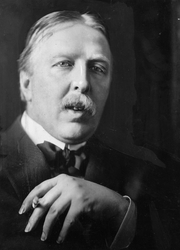 Ford Madox Ford is currently considered a "single author." If one or more works are by a distinct, homonymous authors, go ahead and split the author. Ford Madox Ford is composed of 25 names. You can examine and separate out names.